For the second day in a row, a new face joined the Carolina Hurricanes’ defense on the ice. Jaccob Slavin was recalled from Charlotte Wednesday evening, hours after veteran defenseman Tim Gleason made headlines by joining the team at practice. Slavin got the call from Checkers head coach Mark Morris and packed up to make the 165-mile trek east to Raleigh Wednesday night in time for the team’s practice on Thursday. This marks the first NHL call-up for the rookie defenseman, and he is expected to make his NHL debut on Friday against the Toronto Maple Leafs. 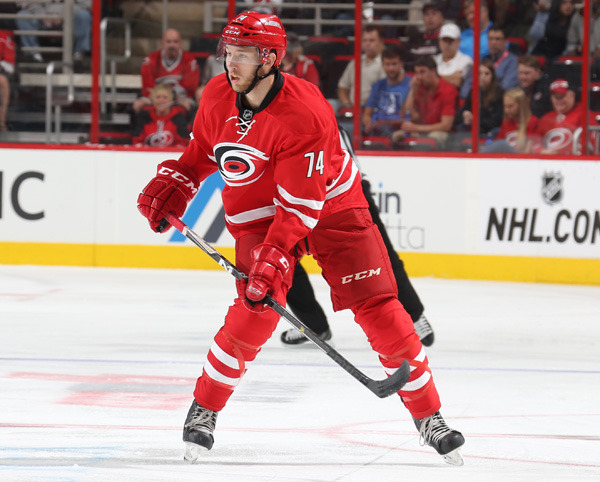 Dating back to Prospects Development Camp in early July and progressing through the NHL Prospects Tournament and training camp in September, Slavin has garnered attention with his play. 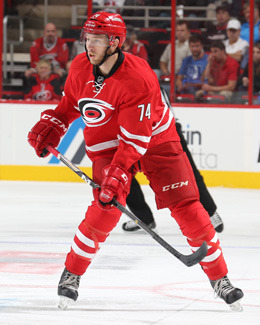 The 21-year-old blue liner was one of the top performers for the Hurricanes in Traverse City and was among the final group of five players to be assigned to Charlotte as training camp wrapped up. As a first-year pro, Slavin has played in all 14 of Charlotte’s games this season. He ranks tied for first on the team in assists with seven and ranks tied for first among defensemen in points with seven. With the recent rash of injuries that has depleted the Checkers’ depth on the blue line, Slavin and his defensive partner Trevor Carrick have been logging close to 30 minutes a night as of late. That’s one way to get acclimated to professional hockey. If the defensive pairs that the Canes utilized in practice Thursday remain consistent, Slavin will go from playing on the top pair in Charlotte to the top pair in Raleigh, as he skated on the left side with All-Star defenseman Justin Faulk to his right. Again, if there’s any way to jump head first into your NHL career, doing so on the top pair with a rising defensive star is not a bad introduction. Slavin is set to become the fourth player and third defenseman to make his NHL debut with the Hurricanes this season. Slavin included, four of the six defensemen expected to dress for the Canes on Friday have an average age of 20.75 and three are rookies. MICHAEL SMITH is the Web Producer for the Carolina Hurricanes.